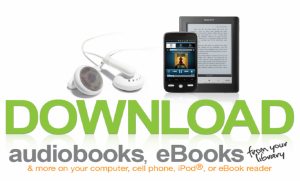 STPL offers a downloadable eBook and eAudiobook service called OverDrive that allows library users to check out 10 items at a time for 21 days. If using Libby, click "Find My Library." Libby will automatically use your location to find a branch near you, click yes or no. Click "Add Your Card" in the middle right column. Enter your card number. If using the website, click "Sign in". Enter your card number and click "Sign in" again. Search for an item that you wish to check out or browse the available items in "Collections." For online help with Libby, visit Libby's help site. Should you need more help, please call or email a reference librarian or schedule an appointment with a reference librarian. We hope you enjoy using OverDrive!